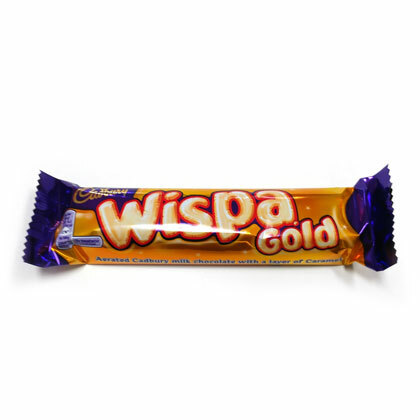 Cadbury Wispa bar. Aerated milk chocolate deliciousness and caramel. Imported from UK. 48g candy bar. Approx. 5.5 inches long. 1 candy bar.